Help Me Grow in Hocking County is designed for families with children under the age of three and expectant mothers who meet eligibility guidelines. Help Me Grow focuses on child development and reassures parents that their babies meet important milestones that help them get a great start in life! A service coordinator, who is trained in “Parents As Teachers” curriculum, partners with parents and caregivers to share information about their little ones’ development as well as ideas for encouraging children to make progress in their development. Parents in Help Me Grow can be linked to other parents or community resources through parenting meetings and playgroups. 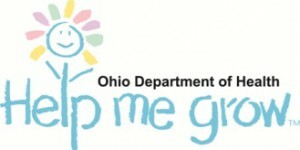 To learn more about Help Me Grow in Hocking County, please contact Michele Hipple, Director of Early Childhood Program at mhipple@hockingdd.org or call (740)-380-1315.